This giveaway is now closed but you can find all my current competitions on my giveaways page. My two are old enough to bath themselves now but I can still remember the joy (and occasional stress) of bath time when they were little. It can be a great time to bond and play with your little ones and a night-time bath is a chance to help them settle and hopefully drift off into uninterrupted sleep. Note: I said ‘hopefully’! 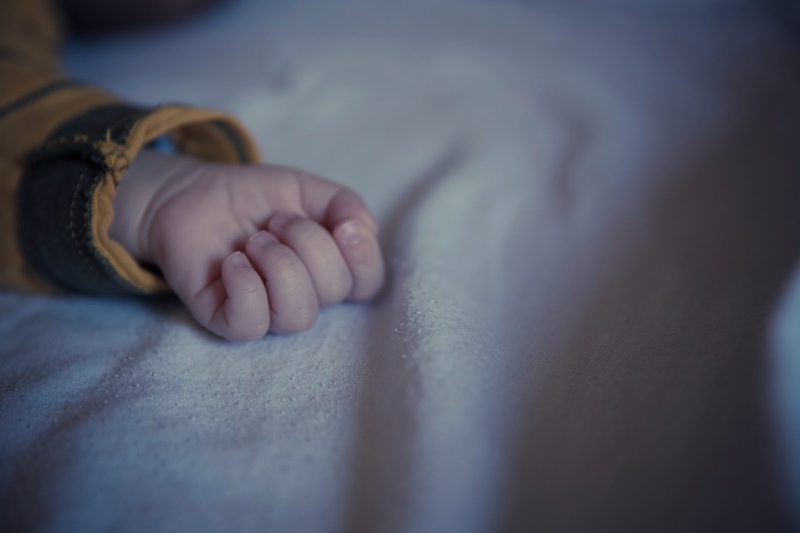 I do remember becoming totally obsessed with Caitlin’s and Ieuan’s sleep routines – and that really is the key I found, develop a solid sleep routine as early as possible – and bath time can play an important part of that. You can find details of the pregnancy bibles that got me through here and you can also win a copy of the latest pregnancy best seller by NHS midwife Clemmie Hooper – “How To Grow A Baby *and Push It Out” on my competitions page. It’s important to use products which are gentle on baby’s skin which is 10 times more delicate than adult skin and InfaCare Night Time Baby Bath is formulated to be as natural and gentle as possible. InfaCare say that, when asked, up to 70% of parents described it as “ideal” for their bedtime routine. You don’t need to use much of the InfaCare Night Time Baby Bath to produce a bath full of long-lasting bubbles to play with and it has a gentle relaxing fragrance to help ease tots into bed and then off to sleep. You can find InfaCare at all major supermarkets, as well as Lloyd’s Pharmacy and Boots. 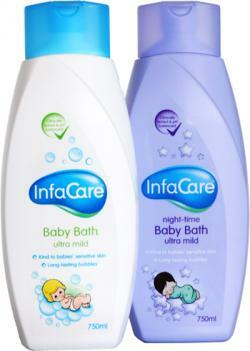 InfaCare Baby Bath £2.15 for 400ml / £3.19 for 750ml and InfaCare Night Time Baby Bath £3.49 for 750ml. More information can be found at www.infacare.co.uk, on Twitter/@infaCareBaby or at Facebook.com/infacarebabybath. I have an InfaCare Baby Bath Time Hamper to give away worth £25. Entry is via the Rafflecopter widget and the usual terms and conditions apply which can be viewed on my competitions page. UK entrants only and the giveaway ends at 11:59 pm on Friday 10th March. "The Best Ways of Making Some Extra Money on the Side"
"Amazing Free & Bargain Books With This Linky! Week 8 2017"
Trust that you as parents know what’s best for your baby.